Holy Barry Seal Batman, Arthur Porter has just died in prison. He's the CSIS watchdog that was facing fraud charges involving SNC-Lavalin and was caught sending money to a mossad agent tied to Iran Contra. I freaking kid you not. The Montreal Gazette is reporting he died of lung cancer. Yet the National Post claims he died suddenly and alone. Things that make ya go hmmmm. Vito Riuzzutto died *suddenly* of cancer at a dinner party shortly after he got out of prison. Don't forget Panama is tied to another high profile local case that we can't talk about yet. Much. I'm interested in reading what trade secrets he revealed in his book the Man behind the bow tie. Porter's book admits he was suffering from a terminal case of lung cancer. He also mentioned it in his interview with Macleans. Ottawa won't lower the flag for their friend the scape goat. Are they going to lower the flag for their pal Gwen Morgan's fraudulent use of translink tax dollars for the Evergreen line? Porter was arrested the same time as Pierre Duhaime, the former CEO of SNC-Lavalin for their alleged involvement in a massive fraud and conspiracy. SNC-Lavalin was banned for ten years from international contracts because of their involvement with fraud. After Pierre Duhaime was arrested, neo con spin doctor Gwen Morgan took over and got the Evergreen line contract awarded to none other then SNC-Lavalin. I kid you not. Now they want to raise sales tax to pay for that fraud on top of the billion dollar regional gas tax they already burn every year. Arrest Morgan and Harper. Cancer is by all accounts a cruel death, but at the same time, good riddance. it is interesting that Ottawa never tried to extradite Porter from Panama. it would have been interesting to have had Porter stand trial and it would have been interesting to see what would have been said. Now we may never know. What Porter and Del Mastro have both learned though, is that when you are no longer of use to the Cons, they are so through with you. 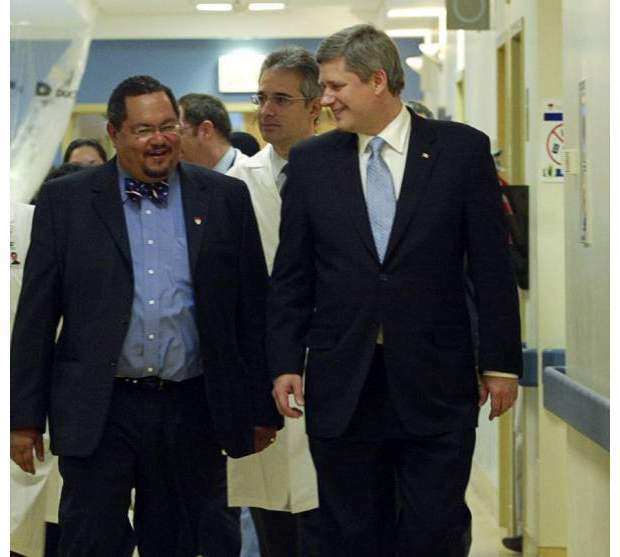 Arthur Porter was just another of a long line of Harper appointees who were charged with fraud, You do have to wonder about Harper's judgement. Well no you don't . We know how it doesn't work. harper and his cons passed 81 "crime bills" and are the most corrupt government Canada has ever seen, in my humble opinion. The interview in Macleans implied Ottawa rather him die in prison then come back to testify and pull an Oliver North. "I was authorized to do everything I did." Porter could have told some interesting tales I'm sure. No two people agree on every issue but no two people disagree on every issue either.